A member of the prestigious Royal Society of British Artists since 2004, David Sawyer is a painter of great depth and sophistication. 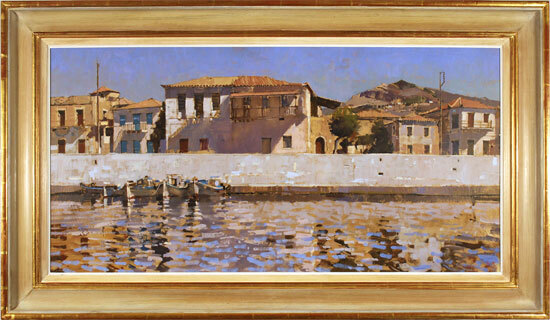 His work transports and inspires, as Peloponnese Waterfront so enchantingly evinces. 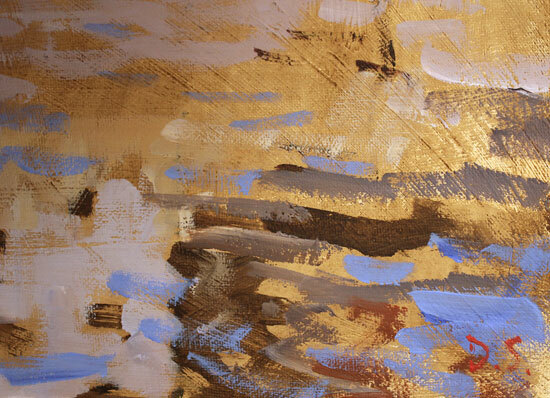 The piece invites the viewer beneath its azure blue sky and it is there we may feel the Peloponnese sun warming our skin and hear the gentle, rhythmic lapping of the sea against moored rowboats.